CAT tool use by translators: who is using? « Translator T.O. 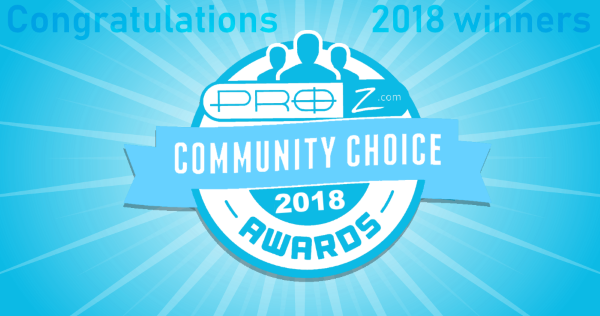 Every now and then, the subject of the use of Translation Memories (TMs) and Computer-aided Translation (CAT) tools comes up in the ProZ.com forums and elsewhere. Should you use a CAT tool? Why? Which one? Why (again)? Are there kinds of work where a CAT tool will not be useful? In a previous State of the industry report for freelance translators, the word on TMs and CAT tools was to take them as “a given.” A high percentage of translators use at least one CAT tool, and reports on the increased productivity and efficiency that can accompany their use are solid enough to indicate that, unless the kind of translation work you do by its very nature excludes the use of a CAT tool, you should be using one. Recently, a couple of surveys were run to gather more information and details on the matter. How many translators are really using a CAT tool? Why? Which CAT tools are preferred most, and why? How many translators do not use a CAT tool, and why? If you have been in the translation business a few years and you use a CAT tool, most of what follows will not surprise. If you are an established translator who has decided CAT tool use is not for you, what follows is not designed to try to change your mind. Rather, this information is meant to give a wider panorama on TM and CAT tool use that you can use to compare to your own experience. If you are just getting started in translation and are wondering whether a CAT tool might be worth the investment, the following may be a good starting point for researching the matter. Who provided information on CAT tool use? The surveys on CAT tool use were aimed primarily at full-time professional translators. A majority of survey respondents have been in the translation business for at least five years, and just over thirty percent of them have been in the business for more than ten years. The largest age group of survey respondents was between 25 and 35 years old (35%). Over three thousand full-time professional translators from around the world responded to the surveys, which were broken into a survey for CAT tool users and one for those who do not use any CAT tool at all. Who is using CAT tools? 88% of respondents use at least one CAT tool for at least some of their translation tasks. Of those using CAT tools, 76% use more than one CAT tool. Of those using CAT tools, 83% use a CAT tool for most or all of their translation work. Of those using CAT tools, 64% have been using one for upwards of three years now, and 23% have been using one for more than seven years. Of the 12% who do not use a CAT tool, 68% had used or tried to use a CAT tool before, and 32% had never used one at all. 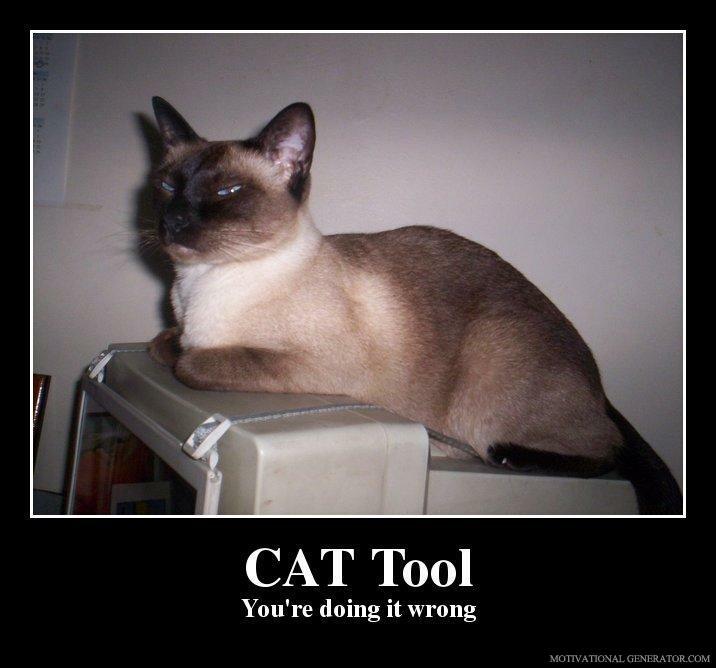 Only 3.4% of respondents who do not use a CAT tool did not know what a CAT tool is. The file types translators work with does not seem to have much impact on whether or not they will use a CAT tool, as common file types indicated by both groups did not differ. The PDF file was the most mentioned by CAT tool users as tending to be problematic, along with scanned or image files. When it comes to subject matter, many CAT tool users noted they may get less out of their CAT tool when working on texts of a literary, commercial or journalistic nature, for transcreation, and in texts heavy with tables, formulas, numbers, etc. It should be noted that others comment that at least for these first three they find a CAT tool helpful, and some mention that even for texts where there are few or no repetitions, for example, CAT tool segmentation still helps when it comes to focusing on translation and in quality control. Some difference was noted in computer usage skills between the two groups. The majority of CAT tool users would rate their computer usage skills as good to excellent. This was also a majority among non-users of CAT tools, though a greater percentage of them rated their skills from fair to poor. Of translators who do not use a CAT tool, 58% pointed to cost as being a factor in their not using a tool. In second place, close to 47% stated that a CAT tool would not be useful for the kind of work they do. Other reasons which ranked highly were the difficulty involved in learning to use a CAT tool, lack of time to get properly trained in CAT tool use, and lack of time to research whether a CAT tool would work for the translator, and which CAT tool to use. Almost all CAT tool users agree that, in general, the use of a CAT tool helps them translate more efficiently. A small percentage, almost 8%, are unsure of how much more efficiently. The majority estimate that it is an efficiency boost of at least 30%, and fifty percent put the increased efficiency at 50% and above. Not surprisingly, it is not the CAT tool on its own that is necessarily responsible for this. The size, quality and organization of the translation memory (TM) is a factor most point to as being important. Just as there may be a monetary investment in a new tool or resource, there is also a time investment. Most translators who use a CAT tool will tell you that becoming proficient in that tool’s use is also key; in some cases this consists of reading manuals, articles, support forums and the like, but 55% of CAT tool users have taken training to learn or to improve their use of the tool. How much training time are we talking about here? 47% estimate they have spent fewer than ten hours in training (self-training as well as receiving training), and 31% would put their training in the 10 to 30 hour range. Are your clients asking for it? When CAT tool users were asked to estimate how many of their clients were requiring the use of a CAT tool, responses were fairly evenly spread. Six percent stated that none of their clients require CAT tool use, forty percent say under 50% of their clients require one, around half would estimate that over 50% of their clients require a CAT tool, and four percent were unsure. Translators were also asked to indicate which CAT tools they are using, how they decided on using those particular tools, what their favorite and least favorite CAT tools were, and which tools they would recommend to someone on the market for a CAT tool. Next week we’ll take a look at this information, along with other CAT tool user feedback on the tools they are using, and look at reasons non-users of CAT tools gave that might convince them to use one. Stay tuned! This is part one of a two-part article. You can read part two here. It is an abbreviated version of information which will appear in this year’s State of the industry report for freelance translators. Bravo Jared ! This is really very interesting. I participated to the survey, and I am looking forward to reading the second part of your review. Have a nice week-end. Thanks Catherine, and thanks for participating in the survey! It is fortunate that so many translators are generous with their time and knowledge that way. You have a good weekend too. Thanks for reading, Ahmad. Stay tuned for part two! Excellent. Very helpful. Thank you! Hi there Klaus, thanks for the kind words and thanks for reading! Thanks, Jared! Very interesting information. Thank you, Georgi! Part two will be published this week, and I think it will be even more interesting. thanks for the interesting info, this is the thing that keep me awake all day long, should I invest in a CAT, or not to. the high cost for a part-timer ad hock translator like me is an obstacle. can you high light the alternative ,i.e. the cloud or pay-as-you-go versions , and to what extent it can completely function. I loved your post, it brings a little more understanding what is going on about CAT tools world. There is more and more tools appearing these days, both off and online. Would one, compatible, universal CAT tool format be a nice idea? for example “TTX” files, as SDL seems to have gained biggest part of the market. We use SDL Studio and Transit XV on our projects. Actually I myself am using some of the CAT tools under the requirement of one of my clients. So I find your post really very interesting. I learnt how to use these tools partly from my postgraduate study, and partly from online videos. On my part, the CAT tools are very helpful in improving translation efficiency, especially when it comes to technological field, and it works extremely well when some terms and expressions need to be unified in a translation project that involves more than one translator. However, on the other hand, apart from the high price, these tools are a little bit complicated, especially for translators who have poor computer usage skills. Another reason for not using a CAT tool, as far as I am concerned, might be the incompatibility between different operating systems. For example, SDL Trados does not provide a Mac version. This may be the next possible improvement for these tools, I suppose. I agree with you Belle, actually, I think the CAT tools for translational works still have some drawbacks: the high price; the big gap between the machine translation and the standardized translation. But there is one point that I have to say is the CAT tools bring me so much convenience when I was translating, especially some documents. Unlike you, I’ve never used CAT tools for business purpose. Even though, I found it very useful to make my work pleasant and efficient. For example, while I am using SDL Trados, with the tool of pre-translating from a translation memory, I could finish my translation twice or more faster than before. And also I can update my translation memory as I translate so that to make it more intelligent. However, when it comes to literature translation, CAT tools obviously can’t help translators at all, which may hinder the development of these tools. There is one more point I want to add. Many people would confuse CAT with MT (Machine Translation), which, however, are two concepts interrelated with each other yet very different in nature (Liang Sanyun). The core technique of CAT tools is TM (Translation Memory), a translation strategy of using computer program to help translation (Shuttleworth & Cowie), while MT refers to the use of software to translate text from one language to another. In other words, when we use CAT tools in a translation, we are the decision makers; but when we use MT, the computer makes decisions. Hi, do you have any information about XTRF software? Can you suggest something?